Earlier this week, we finally got a glimpse at the RAGE 2 gameplay, which promises to be incredibly fun and incredibly destructive. Following the Bethesda’s E3 2018 showcase, some additional details emerged on the game. RAGE 2, which runs on Avalanche’s Apex engine, will run at 30 FPS on the base PlayStation 4 and Xbox One, with the game running at 60 FPS on PlayStation 4 Pro and Xbox One. PC will have uncapped frame rate, as expected. 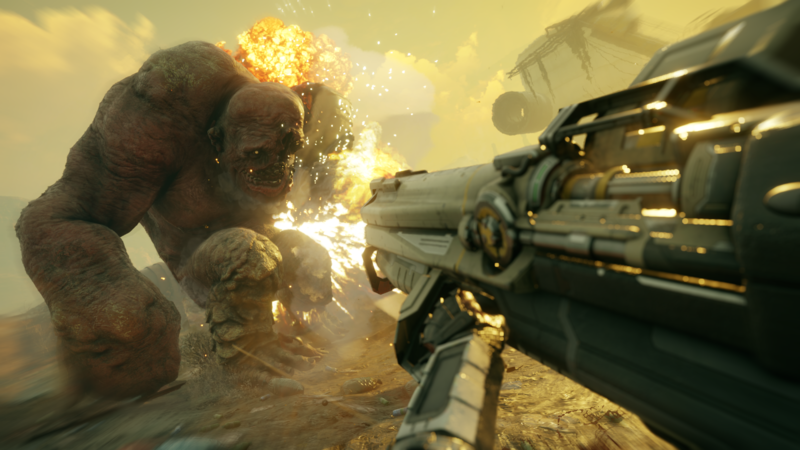 RAGE 2 is going to be a massive game, and the developers are promising over 100 hours of content, which is getting expanded post-launch. The game will launch as a single player experience only, but it seems like there’s the chance of some sort of multiplayer coming down the line. id Software also noted that there are some social community elements in the game, even though there isn’t going to be multiplayer at launch. Some other details have also emerged online. The first game’s protagonist won’t be back in RAGE 2, there will be plenty of customization possibilities such as skins for characters and weapons. It’s not yet clear how these skins will be obtained, as loot boxes haven’t been confirmed. Crafting will also come back. RAGE 2 launches next Spring on PC, PlayStation 4 and Xbox One in all regions. We will keep you updated on the game as soon as more come in on it, so stay tuned for all the latest news.